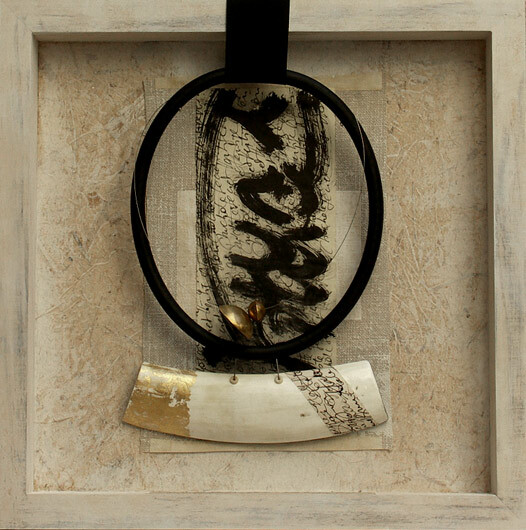 Contemporary jewelry: gorgeous piece of Zebu white horn patinated with gold leaf and calligraphy paper. Brass bead . Built on rubber cord. shown and sold framed ( wood frame, handmade paper, black ink and acrylic).UNIQUE PIECE !